June is National Safety Month, and it is just in time for the summer! As Health Studies Students, the focus on safety is important in reducing preventable deaths and injuries during all seasons of the month, but the summertime holds certain risks of its own due to activities popular during this time and, of course, the extreme summer heat. Many students fill their summer weekends with time at the lake, grill outs, and other fun summertime activities. Boating is a common activity in the summer, especially during the upcoming holiday weekends. These activities are enjoyable, but without proper safety behaviors, they may lead to death or injury. Did you know that there are approximately 4,000 accidents and 400 deaths due to boating each year in the United States (CDC, 2012)? Thankfully, June is National Safety Month and a great reminder to always practice safe behaviors throughout the summer months. Practicing proper boating safety guidelines are easy and will reduce the risk of injury or death. Wear your lifejacket! In 2009, 7 out of 10 boating accident deaths were due to drowning. Almost 90 percent were not wearing a lifejacket at the time (CDC, 2009). Always wear your lifejacket when in a boat. Don’t drink and boat! Not only is operating a boat under the influence of alcohol and drugs illegal, it is also as deadly as drinking and driving. Alcohol use is involved in almost a third of all recreational boating deaths (CDC, 2009). Always have a designated driver inside and outside the boat. Wear sunscreen! Sun safety is a vital part of boating and summer safety. The sun’s ultraviolet rays can damage your skin in as little as 15 minutes (CDC, 2014). Lather up to prevent skin cancer. Hydrate! Dehydration can be dangerous during the hot summer months. 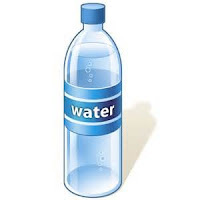 Be sure to drink plenty of hydrating fluids while boating to reduce risk of dehydration. 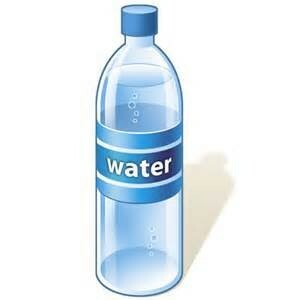 The general rule is to drink 6 to 12 ounces for every 10 to 15 minutes of activity in the heat (Cleveland Clinic, 2012). Continue to hydrate after the activity, as well. Practice these guidelines all year long to reduce your risk of boating death or injury while boating. Play it safe; play it smart. Ms. Case is a student in the Texas Woman’s University Master’s in Health Studies program.